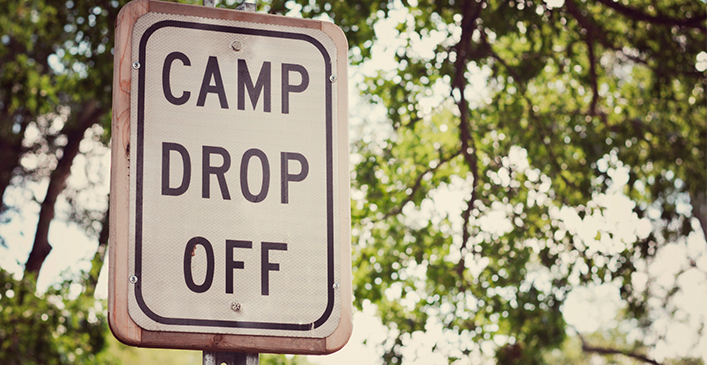 Make Your Child’s First Camp Experience a Positive One! The thought of staying away from parents at summer camp can be a daunting prospect for a child at any age, especially if they are not used to being away from you for any length of time, or if it is going to be their first camp. Although it is nerve-wracking for younger kids, older kids may also need preparation and reassurance, too. Let your kids talk to you about any concerns they might have. Although it is helpful to empathize with your kids and provide reassurance, try not to focus too much on any negative aspects. You could then talk about your own happy memories of experiences you may have had yourself as a child. If it is their first time away from you and they have become dependent on you at home, you could improve basic independence skills such as showering, brushing their teeth, brushing their hair, and looking after themselves in general. Instead of showing signs of separation anxiety yourself (although you may be feeling this inside) try not to focus too much on telling your kids how much you’ll miss them. Instead, reinforce that they will have an exciting adventure and concentrate on highlighting their strengths to up their confidence levels. Focus on reiterating the reasons why they are going to camp such as connecting with nature, bonding with new friends, forming resilience and independence, and also finding time to relax and play. To reassure your own nerves as well as your child’s, you can talk to other parents who have sent their kids to camp and have their child relay their experience there to yours. This way you can ensure there isn’t any aspect you’ve overlooked and your child has a chance to realize that this is a normal and fun part of most kids’ summers. Make sure you find out how much money they are allowed to take with them and discuss how they will look after any cash. Explain that it is wise to spend their money carefully and not to blow it at the first opportunity! If they are going to a sleepaway camp, you could also find out in advance if you are going to have any methods of communicating with your kids. They could pack a couple of stamps and stationery if they will have the chance to write to you. If the camp directors are more modern in thinking, your kids may even have a chance to send you a text or email (although chances of this would be extremely rare). Remember, camp related letters are very likely to become treasured possessions one day to both you and your kids. Take the time to write at least one letter back and keep it in a positive tone. You may even want to send a little nice surprise inside the letter such as an article you’ve seen that they’d appreciate, or a little card or note from a sibling. Being fully prepared of what exactly to expect will help ease your kids’ anxiety levels. If the camp does have a website, you can look through this together. The site may also give tips on the best items to take with you. Look at any literature relevant to the camp with your kids around the time they are due to attend. This should bring back the excitement and the reason why you decided on it together in the first place. If you and your kids have some time in advance to prepare, you could encourage a sleepover at your home or a friend’s, or perhaps even a camping experience in your own backyard. This will allow them to get a feel for what they can expect and how to respect and get along with others. You could even consider taking them on a family camping trip to give them a flavor of what they will experience. After researching exactly what they should take with them, you should encourage your kids to write their own checklist and tick off items when they have packed them. This is a fun way of helping them to prepare. It also means they can have a say in bringing an item of comfort along with them, such as a favorite toy or stuffed animal. Remember that the way in which you address all the aspects of preparing for camp will set the tone for how your kids feel about it. If you become agitated and anxious before they leave, they will probably exhibit the same symptoms, making the departure more difficult. The best advice is to keep things positive and get your kids involved. There’s nothing like a week away at camp when it comes to forming some cherished summer memories!